This past weekend I had the opportunity to sit down and read a new ebook that is getting released today from Sean Supplee called “Take Action List Building“. Take Action List Building does a great job of explaining the entire process of building a list including how to setup your autoresponder, how to make a squeeze page, how to get traffic to your page, and how to write follow-up emails that make you money. It’s a quick and easy read but this book is jam packed full of useful resources and helpful tips! 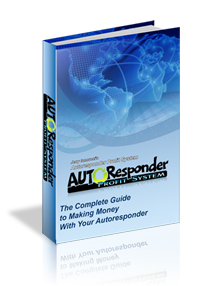 Sean even added some really nice bonuses to the site including some personalized squeeze pages and a 5-day email series that you can load right into your autoresponder. And best of all… Take Action List Building is free! Click the image below to get your free copy. btw, if you are a TE user you are going to totally flip out when you see the offer Sean has put together for his new members. Make sure you don’t miss it when you login because it’s the only time you’re ever gonna see it. Here is the list of upcoming JV giveaway events for March 29, 2010. How’s Your List Coming Along? I guess it’s been over a week since I have posted any of my list building articles. I was just wondering, are you putting all this list building stuff into practice yet? I know it can seem a bit complicated at times when you are trying to figure out how all these pieces are supposed to fit together. It doesn’t help either that most of the lessons are getting spread out over time and might not make a lot of sense the first time you read them. Wouldn’t it be easier to just watch an expert list builder at work and see exactly how he does it? My good friend John Guanzon has just starting allowing access to his exclusive “List Building Vids Club” and you can get in now at a crazy introductory price! first people I talk to whenever I have questions about list building. John is providing you with his complete step-by-step system that you can use to start building, growing, and profiting from your very own opt-in list of subscribers starting today! below to claim your membership now. Here is the list of upcoming JV giveaway events for March 22, 2010. Last night while hanging out at TE Live I had the fortune of witnessing the birth of a brand new concept in downline building. It’s a new program that is being called “TE Teams“. TE Teams was created from scratch over the last week by Tim Linden, John Guanzon, Austin Hallock, and Jon Olson. The idea is to build your downlines in a variety of programs using teams instead of trying to do it alone. The new site is very slick and is designed to build your downlines in TrafficWave, TEToolbox, Thumbvu, StartXchange, I Love Hits, Traffic Splash, and Dragon Surf. Since I was there for the unveiling I was lucky enough to snag a position of “team leader” for my own team called… (drum roll)… EXCELSIOR! So far, i’m loving it! In the few hours since I have been a team leader we have rocketed to the top of the teams list and we have even generated a few referrals for our members. TE Teams is totally free to join. There are no OTOs or upgrade offers. If you are interested in building your downlines in the above programs and you feel that you would like to contribute to Team Excelsior we would love to have to on board. Simply click the link below to join for free. Here is the list of upcoming JV giveaway events for March 15, 2010. I usually don’t promote individual traffic exchanges. Especially ones that have been around for as long as I Love Hits. But big things are going on at ILH and if you advertise with TEs you need to know about this. First, there is the new addition of bracket surfing at I Love Hits. I’m proud to say I had a small hand in this when the idea came up one day in TELive. The way it works is every day you are paired up against another surfer and you compete head-to-head to rack up the most clicks in one day. It’s very fun and very addictive. Jon is even giving away a Sony Flip HD to the top surfer this week. Second, if you are already a member of ILH you should know that Jon has reset the one-time-offers. This means you have one last chance to pick up Jon’s insane “Lifetime Upgrade” before he raises the price tomorrow. I grabbed the lifetime upgrade yesterday. Finally, for years ILH has had the reputation of being the only traffic exchange that doesn’t pay out commissions. No more! ILH members can now earn commissions from referring new members to the site. So if you are already a member of ILH make sure you login to the site today for your last chance at the amazing lifetime upgrade! If you are NOT a member of I Love Hits… what are you waiting for? Easter Giveaway 2010 – Contributors Needed! As you probably know by now one of favorite techniques for add hordes of new subscribers to my lists is to use JV giveaway events. Heck, I even wrote a book about it and post weekly updates on new events on this blog. I usually don’t promote events individually but there are a few events each year which I consider to be essential for anyone building a list. The guys that brought you the most gigantic and most successful Easter Giveaway events of the last 4 years are back at it again. Yes, Guido Nussbaum and Brad Smith have teamed up again and just opened the Pre-Launch of the Easter Giveaway 2010.
not to mention the commissions you can earn when you promote the giveaway. Signup now and start adding new subscribers to your list! I guess I let the list building tutorial slip for a few days. Sorry about that. But now that I am back let’s get back into it. By now you should have your squeeze page up and running. Great! Today I want to start talking about how to generate traffic to your squeeze page so that you can start getting some sign-ups in your autoresponder. There are all sorts of ways to drive traffic to your new squeeze page. There’s search engines, pay-per-click advertising, article marketing, forums, blogs, safelists, etc. One source that I have successfully been using to drive traffic to my my sites for the last 7 years is free traffic exchange programs. Traffic exchanges are sites that allow you to generate traffic to your sites by spending some of your time visiting other people’s websites. I’ll be honest. Traffic exchanges are terrible for trying to sell stuff because the people who visit your site through them are only there because they are trying to generate traffic for their own sites. If you read the lessons in Affiliate Funnel you will know why it is important to always be building your personal brand online. What you may not know about Affiliate Funnel is that it was created by the owners of some of the world’s largest traffic exchanges. As a result Affiliate Funnel has become one of the best resources available for traffic exchange users. Of course Affiliate Funnel will also provide you with all sorts of other traffic sources too but for now let’s just focus on TEs. As I mentioned earlier, traffic exchanges are a great tool that you can use to build your list but only if you use them correctly. I have a friend named John Guanzon who has really perfected the art of building his list using free traffic exchange programs. John and another friend of mine (Winter Perkins) recently wrote an excellent book called “TE List Building” which I highly recommend reading. TE List Building also makes a great gift to give away to your list. 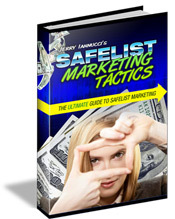 To make money with the TE List Building ebook be sure to click the link on the download page for more info. Here is the list of upcoming JV giveaway events for March 8, 2010.